Flying on commercial airliners has never been safer, thanks in part to the combined efforts of individuals and organizations across the aviation community. When two key initiatives recently received recognition, MITRE staff were among the honorees. The motivation for making our nation's skies safer isn't praise or recognition. But it's still gratifying when your work contributes to "an unparalleled collaboration between government and industry to improve aviation safety." A select group of MITRE employees recently experienced that feeling. They were among those honored for being integral to two interrelated government/industry partnerships named the joint winners of a prestigious Aviation Week Laureate Award. The awards, sponsored by Aviation Week & Space Technology magazine, honor extraordinary achievements in the global aviation and aerospace arena. MITRE has supported both programs since their beginnings a decade apart. The awardees are the Commercial Aviation Safety Team (CAST) and the Aviation Safety Information Analysis and Sharing (ASIAS; pronounced "uh-sigh-us") initiative. They won in the Commercial category, with the Aviation Week panel of judges recognizing CAST and ASIAS for their "unparalleled collaboration." The team received the award at a ceremony on March 1 in Washington, D.C. MITRE was recognized as part of that team and was represented at the award ceremony. Dozens of MITRE staff have contributed to the ASIAS program over the last decade. They include, from left: Ed Walsh, Hassan Shahidi, Eugene Mwendwa, Katie Schulz, Elizabeth Hohman, Lindsay Blassic, Gregg Leone, Debra Pool, Lisa Wynnyk, Brian Dillon, Mariet Kurtz, Michelle Harper, Heather Danner, Pat Massimini, and Eric Chang. In an announcement about the Aviation Laureate Award, co-chairs of the two programs acknowledged MITRE for its roles. These included "faithfully safeguarding sensitive data provided by stakeholders to ASIAS over the past decade and advancing the analytic capabilities the aviation community has come to depend on for a safer world." CAST was founded in 1998 after a string of fatal aviation accidents in the mid-1990s. A partnership among government, airlines, and international aviation organizations, CAST began with two goals. First, reduce the commercial aviation fatality risk in the United States. Second, promote new government and industry safety initiatives throughout the world. The team members focused on conducting forensic analysis of worldwide fatal accidents. Using the findings from those analyses, CAST would recommend voluntary safety enhancements for adoption by the FAA and industry. CAST set an ambitious goal over its first 10 years: reduce the nation's commercial aviation fatality risk by 80 percent. By the end its first decade in 2008, CAST had exceeded that goal, achieving a reduction of 83 percent. Since then, CAST has set a new goal—to cut the remaining risk in half by 2025. "Reducing the U.S. aviation system's fatality rate was a tremendous accomplishment, but it didn't eliminate risk in the system," says MITRE's Aviation Safety Analysis department head Ed Walsh. "There was a recognition that, as the number of accidents went down, we needed to be able to identify contributing factors that had not yet led to an accident. It was that line of thinking that gave birth to the ASIAS program." ASIAS was created in 2007 to further enhance aviation safety in the United States. It would work in tandem with CAST. A voluntary government/industry partnership funded by the Federal Aviation Administration (FAA), ASIAS collects and analyzes data from a wide variety of sources to advance aviation safety. By compiling and fusing data from the FAA, airlines, aircraft manufacturers, individual pilots and air traffic controllers, and other sources—such as the National Oceanic and Atmospheric Administration—ASIAS researchers have been able to proactively identify safety issues. With data and analyses in hand, government and industry can address issues before serious incidents occur. "ASIAS partners with CAST to monitor how well the safety enhancements that government and industry have deployed are working," Walsh says. "ASIAS researchers develop metrics CAST can use to evaluate the effectiveness of those mitigations." In 2007, the FAA selected its FFRDC—the Center for Advanced Aviation System Development (CAASD), which MITRE operates—to facilitate the data-sharing and analysis aspects of ASIAS. The results of our analyses are shared with ASIAS members, as well as government and industry safety teams such as CAST and the General Aviation Joint Steering Committee. All the ASIAS members can then propose voluntary safety enhancements to address the identified issues. The introduction of ASIAS began a new era in safety analysis. It moved analysis from a diagnostic or reactive system to a proactive, prognostic approach to preventing aviation accidents and incidents. 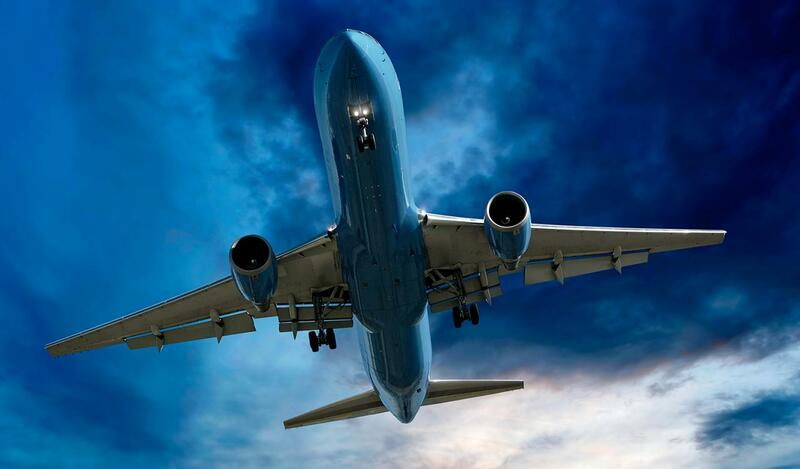 Today, the program is credited with dramatically improving commercial aviation safety in the United States and is considered a world standard for aviation safety data sharing and analysis efforts. Twenty-two voluntarily implemented safety enhancements and two Safety Alerts for Operators directly resulted from analysis work conducted by MITRE in support of ASIAS. "ASIAS provides an ability to discover precursors and root causes of safety issues, leading to safety improvements without relying on analysis of accidents," noted former American Airlines vice president Captain Paul Morell in a letter endorsing the nomination of CAST and ASIAS for the Aviation Laureate Award. "The ASIAS contributions to continue to improve aviation safety through proactive analytical practices are truly extraordinary and benefit each of our crew members and passengers every day," added Captains Joseph DePete and Charles Hogeman of the Air Line Pilots Association's Air Safety Organization in their own letter of endorsement. The ASIAS model has done more than improve aviation safety, however. It's also shown the value of applying advanced data science and analytics to challenging problems involving massive amounts of data. MITRE has used the ASIAS model for other public-private partnerships, such as identifying risk factors for child abuse, neglect, and fatalities and tackling the trillion-dollar issue of improper federal payments. At MITRE, ASIAS's success has been its own reward for those involved in supporting the program. "There is no higher calling than preventing the loss of life and making the world a safer place," says Hassan Shahidi, who oversees MITRE's ASIAS work. "I'm very proud of the MITRE team members who, over the past decade, have dedicated their intellect and capabilities and applied the best of MITRE toward achieving this goal." "These recognitions are gratifying," he adds, "but I believe the real reward for the MITRE team has been making a difference in aviation—for our communities and for our nation."